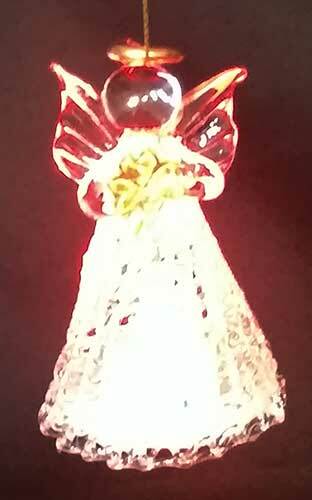 Activate this Irish angel ornament and the LED lighting glows in alternating red, blue and green colors. This illuminated shamrock angel ornament has an on - off switch and is complete with replaceable batteries. 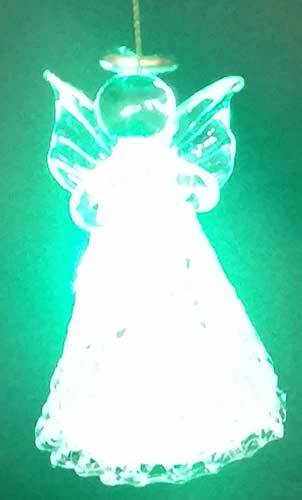 This Christmas ornament features an Irish angel that features LED illumination along with a green shamrock. 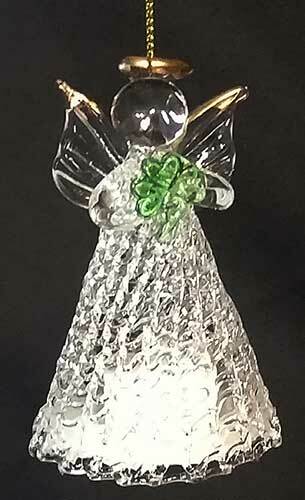 The Irish angel ornament is made of clear glass with gold accenting and measures 2" wide x 3 1/8" tall. 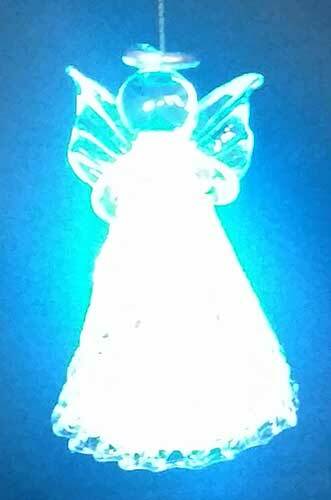 The light up angel ornament is ready to hang on your tree with the included gold cord, or she may display from any flat surface.